There’s this Tamil program called Kalyanamalai which helps prospective brides and grooms to meet each other. And in this program the frequently heard phrase is – “The girl should be adjusting to the family”; mind you, its only the girl. And the girl’s parents are very proud to say that she’s very adjusting. Isn’t the marriage about adjustments from both sides?? Somewhere along the journey in the past centuries the meanings have changed. One girl is a MSc MPhil – her family says she’ll also adjust to the groom, his family and everyone else. What about her? Her career? Her personality? Her individuality? We bring up children telling them to adjust to everyone around. The very few who don’t are marked stubborn, not listening to elders…stuff like that. But those who have their way from younger years are damn lucky to put forth their thoughts always. And then there are people who need to unlearn all the “adjust stuff” to begin the process of understanding one’s true potential and start loving their own self. Self love is the biggest asset anyone can think of. It’s always those people who are being their own self who make a mark in this world. Being stubborn about our own thoughts, beliefs and giving a damn to what others think is kind of liberating and takes a lot of effort to reach there. Did you happen to notice the Amazon ad where the working woman adjusts all the time and keeps wearing the same sari for every function? It sure is aimed at shopping but the fact that we adjust so much that we don’t even buy things for ourselves is quite sad. There are times when we adjust to our loved ones but let it not become a norm for us. 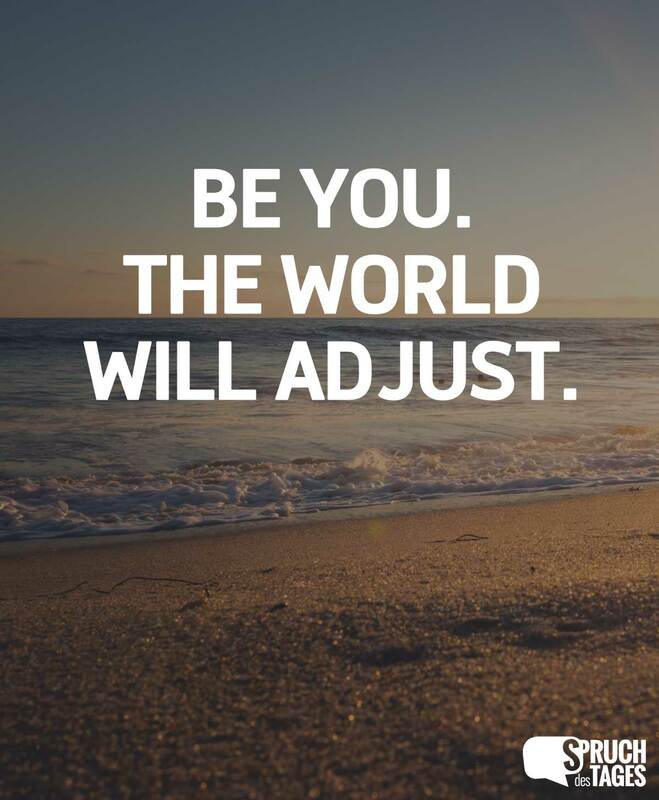 Being YOU…such an important lesson which I’ve embraced in recent times has made me happy from inside, made me to understand who I really am, to say No when I don’t like something and finally to express opinions and to be heard. The world adjusting happens though slowly… People notice that we’ve changed and are sometimes surprised or stunned by our new love for the self. And then they adjust and get into the groove to say “Aahh…she’s like that only” ha ha Mission achieved! About being told to adjust /compromise. No words for that. It used to make me angry when I used to listen to such crap. Now it just makes me sad. What are we teaching our daughters and sons? Self love is a beautiful thing. Self love is all about confidence and learning to live and let live. On the same journey as you, Uma. With each passing birthday, my resolve and belief get stronger. Let's make our children better than teaching them to adjust all the time – at least there'll be a few around who are really their own self! Like they say…you are the best version of yourself. Why do you want to change it at all? Aren’t you happy that you just got slapped for better ?? There are instances in life which happens to shake us out of our reverie and make us better…we need to trust our instincts and go with the shake up ! Both, out of a mold, we’ve to bust! Oh really! I missed reading that huh??? Let me check. I hate more when this adjustments are shown in ads or tv serials. So women are branded and born to adjust. When they don’t they are called head strong. I was told once that I used to be very soft and used to nod for everything, now I am rude because I am thinking of ME. Good for you Sari…thinking about you is the most important thing. Everyone does that. When we change for the better, some people are offended as they took us for granted. Never give in to that…keep changing for the better. Hugs !